But guess what? As I’ve been thinking about how to really calm my schedule down a bit, it occurred to me that I also need to learn to say “Yes!” I’m hearing the need to say “No” so often that I automatically turn down things that actually could be fun or would do me good. Things that would improve my life, improve my mind! Like last night. I nearly said “No” when we were offered tickets to attend a Broadway Showtime in our local theatre. To my surprise, and partly out of guilt for my poor husband who has been sort of shut out of my life during April, I said “Yes!” And I’m so glad I did. It was a wonderful evening of song, dance and music. I thought for the letter Y we’d look at times we should say “Yes!” So Y is for Yes! When did you last say any of these? Serving a different meal, or suggesting you go out for a picnic? Fetching a DVD you know they’ll enjoy or downloading a film from Netflix and have a home movie night complete with popcorn. Need a real wake-up in your home? You can say yes to some things you’ve been saying no to! Maybe it’s time to get that new puppy your kids have been pestering you about. You know? The one you kept saying “No” to? That’s bound to get you up and about! Paint a room, and maybe let the kids choose their color scheme. Creativity with improve your brain. Come up with some new plans for the garden. Getting out into the open air more will do your body and your mind good! Buy a fitbit. (Read more about that here.) This will help you care more for your body. Learn to say Yes! with enthusiasm. Cultivate the habit of saying “YES!” when things go your way. That will lift your spirits. It does mine. I’m saying YES! to my new book that is about to come out. I’ve been working on Naomi for a couple of years and it is already an eBook, but I’ve been saying “No!” to requests from people to publish it in print as it’s way too expensive. I finally decided to look into it, and guess what? I said, “Yes!” The launch date is July 28th! Woohoo! Or should I say, YES, YES, YES!!!? Z is for Zipa-dee-doo-dah on Monday! Have a great weekend, and we’ll see you again on Monday for the wrap-up of the alphabet in the 2018 A-Z Blogging Challenge. Thanks, Shilpa. I was at a loss initially for Y, and then I thought of how we always preach on the need to say No! But why not Yes sometimes? Yes it’s time to inject some positivity in our lives with YES we can rather than No we won’t. A great post, Shirley! I am a yes person, I say yes even when my inner voice is shouting ‘no’! I can’t disappoint people or tell them no. It causes a lot of problems to me and my married life too. But, again, I understand what you are saying. It’s important who you are saying yes to. For your husband, the people who matter to you and yourself, it wouldn’t be a bad idea to say yes especially if you are learning something new or might enjoy the experience. There should be a healthy balance between no and yes. And I like your approach of saying YES – I guess it’s a matter of choice. Can’t say yes to everything, just as you can’t say no to everything. Enjoy your weekend! One more letter to go! Thanks, Tamara. Zip-a-dee-do-dah! We’ve survived! Last day of A to Z Challenge. Come and sing along with me! Yes, this is a lovely post and I enjoyed to 5 minutes I spent here. Loved the bit about saying yes with enthusiasm – not because you cannot say “No” but the genuine desire to do something wholeheartedly. Really happy for you and your soon to be released book Shirley. You’re right about saying Yes more often – every time I agree to something I’ve benefited from it – we’re getting better at boundaries and saying No, so a few more Yeses are definitely in my future. Thanks for your regular support this month, Leanne. It’s been good fun! Zip-a-dee-do-dah! We’ve survived! Last day of A to Z Challenge. Come and sing along with me! Just as learning to say No was tough for I would want to appease everyone; now I find comfort and convenience in not doing a lot of things. Maybe I should shake myself up and say Yes to a few things – good one Shirley! Hi SHalini, I’m glad you’re encouraged by the suggestion that you start to say Yes! Of course, that’s to positive invitations! Don’t undo the good of learning to say No! Have a blessed weekend! Congrats on the print form of your book! Hi Sheela. Many thanks for the congrats. I’m pleased with the way the book has come out and I’m looking forward to working on the next book (a combination of two already-published eBooks.) Have a wonderful weekend! 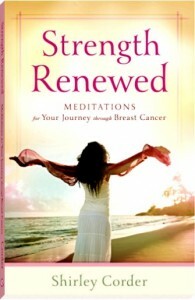 Congratulations on your new book, Shirley and you have certainly made April a winning month with publishing and AtoZ. I agree with your post,because you are suggesting ways to say ‘Yes’ which will bring happiness or enjoyment to our lives. I think there is a balance to be found with Yes and No. Sometimes we just have to say No for our own health and well-being or if we really don’t want to do something. On the flipside, we need to say Yes so opportunities don’t pass us by. Only 1 to go, Shirley! Thanks for your input, Sue, and definitely, I’m not suggesting we undo the good we’ve done in learning to say No! It’s as you say/ We need to find the balance. Have a great weekend – and yes, we’re nearly there! That’s a powerful thought! Saying yes and making a change is a New thing. Great share. Thank you Nikita! Have a wonderful weekend. Yes, I’m inspired by your post. What we need to say “no” to is wasting time on blah television viewing and too much time wandering around Facebook. That would give us time to do the fun things you describe. Congrats on the book coming out in print form. I like how you listed all the A to Z posts at the end of this one. I see a number that I want to visit. Thank you again, Virginiia. Glad you fancy visiting other posts. Any time you leave me a live link I will visit you as well.